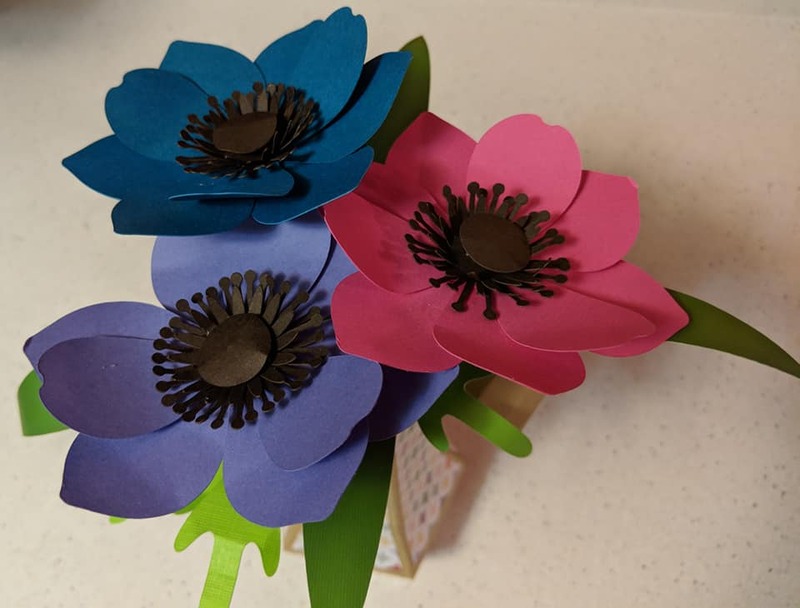 This may be my favorite paper project so far. It wasn't what I intended to make during Easter weekend, however. 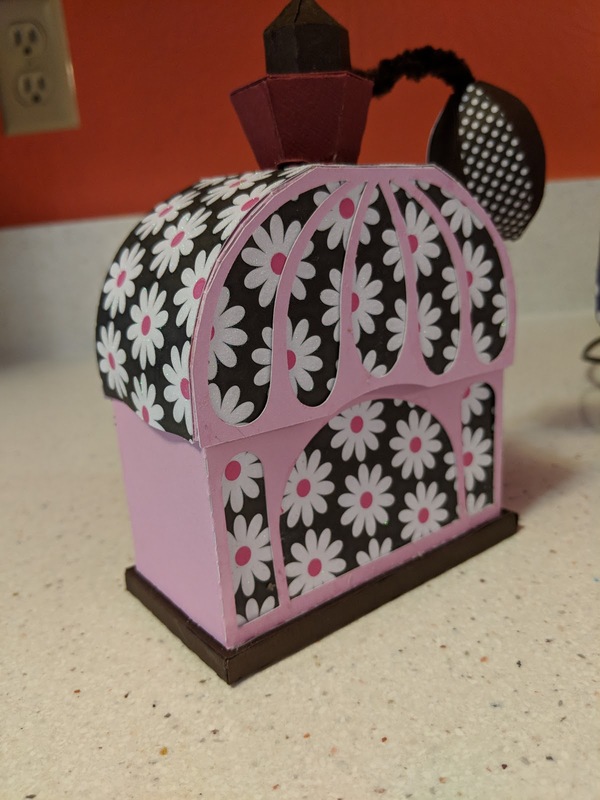 I purchased the pattern to make an adorable little house a couple of months ago. I hadn't made it yet because I wanted the perfect paper for it. Then I stumbled onto one of the most beautiful paper packs I have ever seen and it was on sale for half price. I was elated. I had found the perfect paper for my special little house. I cut the pieces out on Friday night and then I waited until the perfect time on Sunday to assemble the house. The little project fell into shambles almost immediately. I could not build the roof. 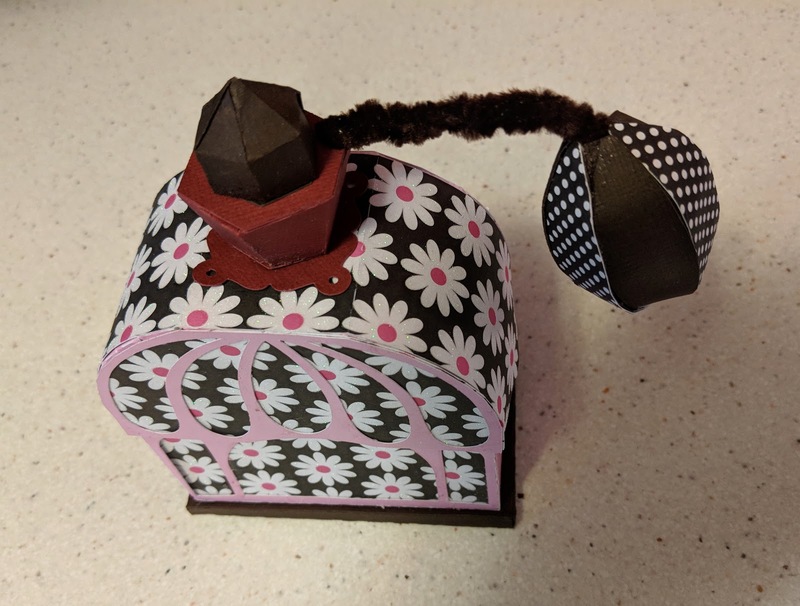 Admittedly, the instructions for the project were not as strong as they could have been, but I also used too much glue. At any rate, my roof tore right at the beginning of the project. I tried to salvage it, but it was impossible. I was going to have to re-cut the first part of the project. Re-cutting isn't the end of the world. I'm not expert paper crafter. I have to re-cut from time to time, but in this case, I wasn't sure if I'd be able to finish the project even if I started from scratch. I was so disappointed in myself. I had waited weeks to make this one little project. I knew that I wouldn't have much if any craft time for the rest of this week. 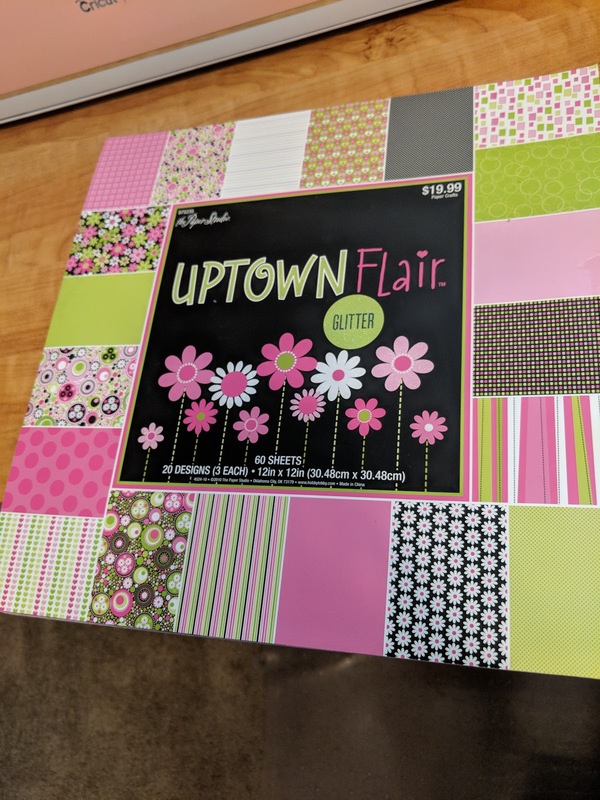 I wanted to end the week with a crafty success story and I wanted to find a project that merited the use of my gorgeous new paper set. I went to a different designer's website and purchased the patterns to make a series of dainty boxes. The set is called Myrcella's Vanity. The set is available on the Dreaming Tree website and includes the patterns to make one antique tray, an oil decanter, a jewelry box, and the Opaline Fragrance Box, which I made. One has the option of buying each individual product rather than the full set, but since I wanted some things that would justify the use of my new paper, I just got the full set. I figure I'll make at least one more of the items in the set later. The one thing I can always count on with Dreaming Tree is solid instructions for building a project. That's exactly what happened here. Most of the project was very easy to assemble. I had some trouble with the last piece, the puffy ball at the end of the pipe cleaners. That was another gluey disaster. I'm not sure if there was more glue on the paper or on me. Besides that, I had completely glued the pieces together wrong. I could have left the box as it was without that little ball, but I thought it added an extra cuteness factor. I waited until this morning and re-cut it. I re-assembled it with a clear head and glue free fingers. Voila! My little box is complete. 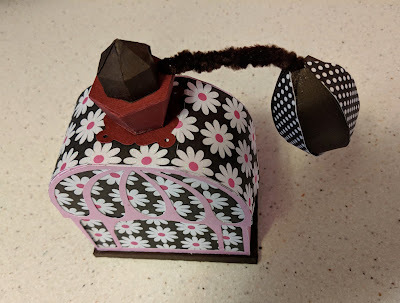 Everything is made of paper except the two twisted pipe cleaners, which connect the box to the lid. I want to give a little shout out to Dreaming Tree for this project. They saved me from some major weekend crafty gloom.